For once, let us start off with some good news. 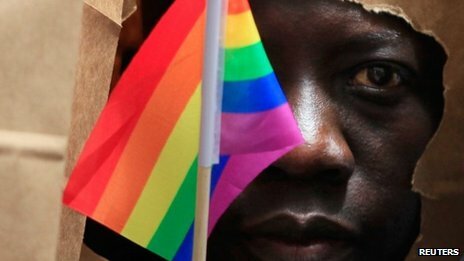 Uganda’s president has refused to sign a bill that would impose harsh sentences for gay people, including life imprisonment, temporarily sidestepping a clash with foreign donors who have condemned the legislative push for years. Details can be found in the NYTimes or the BBC web site. WE can only hope that the international pressure will continue to work and that this issue can be put behind us and the gay people of Uganda. Belarus is the last country in Europe still carrying out executions: in 2012 it executed three men. Four death sentences, including Eduard Lykau’s, were pronounced in 2013: Rygor Yuzepchuk was sentenced on 24 April, Pavel Selyun on 12 June and Alyaksandr Haryunou was sentenced to death by a court in the city of Homel on 14 June. On 22 October, the Supreme Court of the Republic of Belarus overturned the death sentence passed by the Homel Regional Court against Alyaksandr Harunou and returned the case for reconsideration. We have just been informed of a death sentence passed on a 53 year-old man, Eduard Lykau. Whatever heinous crimes he committed, we are still adamant in our opposition to capital punishment. Please act on this case to call for the commutation of the sentence. Óscar Arturo Orozco, a trade unionist in Colombia, is President of the Caldas branch of the Confederación Unitaria de Trabajadores (CUT). He was recently brutally attacked while attending a peaceful demonstration, and is currently in hospital in a very serious condition. IndustriALL global union have launched a major global online protest campaign demanding an end to the attacks against trade unionists. Please take a moment to send your message. Also trade union leaders have been killed. Most recently we've learned about Ever Luis Marín Rolong, a regional leader of the SINALTRACEBA brewery workers union who was murdered on January 4 by unknown gunmen who fired six times at him, as he was waiting for a bus in the town of Soledad. Please open the link and act on these two campaigns. Leaders of the Aeroflot airline pilots association have been arrested as part of a union busting action on the part of the government. Please click to protest.